While millions of people across the U.S. watching Monday’s total solar eclipse from the ground, Royal Caribbean hosted a "once-in-a-lifetime" viewing party out at sea. As large swathes of the Earth's surface are plunged into darkness, passengers onboard Oasis of the Seas viewed the eclipse while Bonnie Tyler sang her iconic 80s ballad "Total Eclipse of the Heart." "I was asked to do with it a great band called DNCE," Tyler said from aboard the cruise ship in an interview with the "Today" show Monday. "We had a rehearsal [Sunday] and they did a wonderful version of it, and I’m looking forward to doing it." DNCE, the dance group fronted by Joe Jonas, is best known for their hit single "Cake by the Ocean." Michael Bayley, president and CEO of Royal Caribbean International, said Tyler was "a natural choice” for the celestial event." "As Oasis of the Seas sails toward the path of totality, the international first lady of rock will join multiplatinum selling band DNCE as part of an exclusive concert in the ship's signature outdoor AquaTheater, commemorating the cruise line's once-in-a-lifetime Total Eclipse Cruise," the company said in a news release. 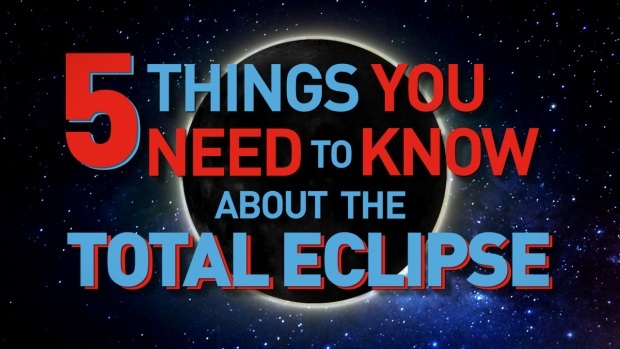 And unlike the eclipse of the sun, which lasts 2 minutes and 40 seconds, the 1983 hit ballad was originally almost 8 minutes long, the Welsh singer told “Today” hosts Matt Lauer and Savannah Guthrie. "Jim Steinman who wrote the song had to chop it about to get the single version," Tyler said, revealing that she sometimes gets "mixed up with the third verse" when singing the longer version of the song. "I love singing it, I never get tired of singing it," she added. The weeklong cruise departed Orlando, Florida, for the Caribbean on Sunday.